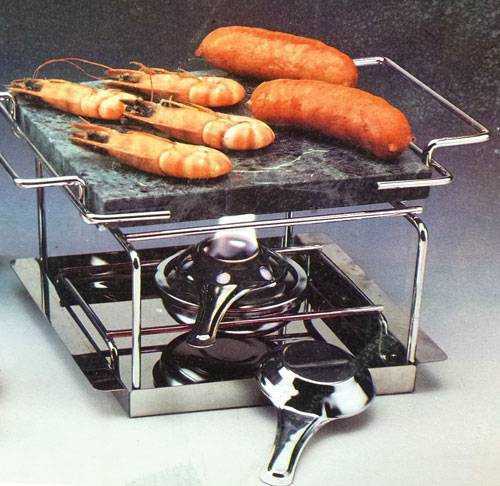 The stone sits on a stainless frame with a paste burner and tray (can convert burner to alcohol with insert). Simply preheat the stone in the oven, keep hot with the burner as you grill your favorite meats and veggies at the table. 7.5 inches x 7.5 inches stone, 5 inches tall. Service Area: New Glarus, Beloit, Madison, Sun Prairie, Loves Park, Baraboo, Fort Atkinson, Monroe, Oregon WI, Platteville, Waunakee and surrounding communities.